Many bloggers who want to monetize their websites can get thrown off by complicated affiliate programs. VigLink is so simple to use, you may find yourself asking if there’s a catch. You may have been looking for VigLink reviews for that very reason. This network can’t be that easy, right? Well, in this VigLink review we’ll layout all the nitty gritty. And trust me it’s not always pretty! VigLink is an affiliate network based in San Francisco, CA. It was founded in March 2009 by Oliver Roup. 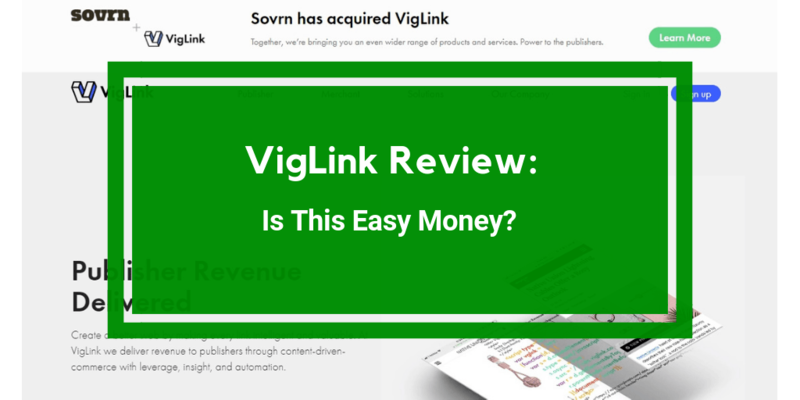 VigLink was recently acquired by Sovrn in December 2018. Over the course of 2019, VigLink will eventually become Sovrn Commerce. These features are pretty good but you don’t have to limit yourself to just one affiliate network. You may want to consider joining other networks such as Maxbounty.com, Traffic Jam Media, iGain.com or Ezoic for additional income. How Much Can You Make with VigLink? Your commission potential is based on the commission structure set by the merchants as well as the amount of traffic to your site. Each merchant has different commission rates and not all merchants are available globally. Merchants use different calculations such as CPA (cost per action), CPC (cost per click), bounties to determine commissions. 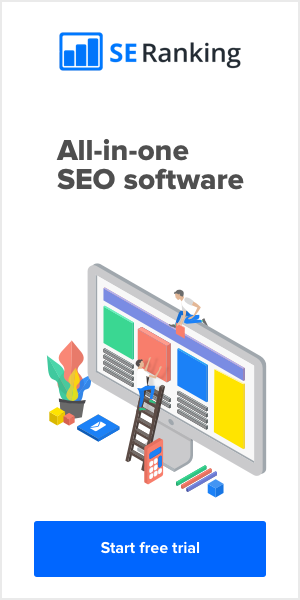 Ultimately traffic is still huge consideration for how much you make with any affiliate network. So you may want to join Wealthy Affiliate where you will learn how to get tons of free traffic. When Do VigLink Affiliates Get Paid? There are several payment options such as PayPal, ACH and checks for U.S. based accounts, international wire. Payments are net 90 which means that the payments are issued 90 days after the end of the month. For example, any commissions made in January would be issued at the end of march. Payments are generally issued within the last five business days of a month. The minimum payout for PayPal is $10 and over $50 for ACH, wire and check. VigLink pays all processing fees but your bank may charge you fees. You will have to list your website when applying and wait for approval. Approval is usually within 48 hours. Tio sign into your VigLink account, click this link here. To contact Support, you can fill out the contact form here. VigLink’s address is 505 Sansome Street, Suite 1450, San Francisco, CA 94111. You can also send an email to support@viglink.com. Now you have an understanding of the ins and outs of Viglink. But like all companies Viglink is not perfect and there are complaints you should know of. We’ve listed some of the common ones below. You decide if they’re a deal breaker or not. Even though you are approved by VigLink, you will still have to apply to each merchant individually. The list is extensive and in some cases, the merchants’ programs have restrictions. According to our research, a lot of the product links placed on sites are for physical products and the commission rate ranges from 5-10%. So you’ll need a ton of traffic to make this worth your while. Fortunately sites like Wealthy Affiliate can teach you how to get more free traffic to your site. According to VigLink’s Terms and Conditions, they are not obligated to intervene or settle any dispute between publishers and merchants. Not a great vote of confidence if something goes wrong with a merchant. VigLink is listed in with the Better Business Bureau but doesn’t have a rating at the time of this review. This isn’t a big deal, in general. But there are those of you that make decisions based on BBB ratings. Well now you are aware of some of the complaints. If any of them make you feel uncomfortable there are other fish in the sea. You may want to check out the following affiliate networks as alternatives: Maxbounty.com, Traffic Jam Media, iGain.com or Ezoic. Should You Join VigLink Network? VigLink has made it pretty easy to earn money by simply adding some code to your site. And they are certainly reputable. While this site is easy to join, the commission rates may not be worth your while. Your commissions will depend on how much traffic you have going to your site. In order to make decent commissions, you’ll need a lot of it. And who couldn’t use more traffic? Joining Wealthy Affiliate may help you achieve that goal. They will show you step by step how to get tons of free traffic from Google. So it may be something to look into. Well that’s it for now, folks. I’d love to know what you think so leave a comment below. To learn more about VigLink, take a look at the faq page here.